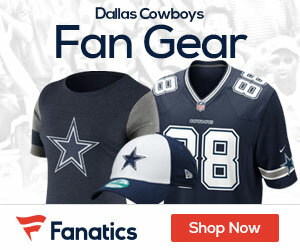 The bronze statue of legendary Cowboys head coach Tom Landry, which has welcomed Cowboys fans to Texas Stadium since 2001, was removed from its original home in front of gate one this morning. The statue, commissioned by the Jones Family to honor the iconic head coach, will be placed in storage until its new home at the Dallas Cowboys stadium in Arlington is complete. 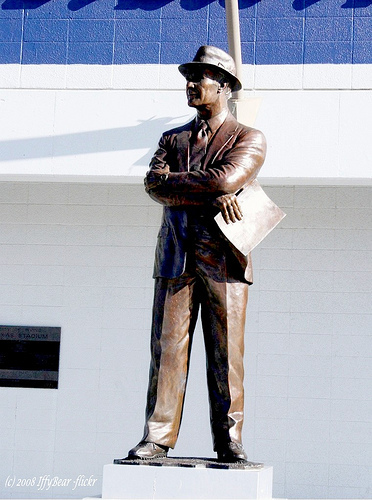 The statue is the work of Texas artist Robert Summers and is a nine-foot, two-inch full-bodied likeness of the coach standing in a classic Landry sideline pose. I’m a construction worker on the stadium. I’m wondering why the statue is not up yet? If this was Green Bay, the arch. would have been instructed to design a stadium around Lombardi’s statue.